Configuring IP address is the one of the core skill that every Linux and Unix administrator should learn. Configuring IP address in GUI mode is much easier, so we are not going to cover that in this guide. But what about in Command line mode? It is not that complicated either. This brief tutorial describes how to configure a static IP in your Linux and Unix systems. For the purpose of this tutorial, I will be showing you how to do this in Linux distributions like CentOS, Debian, Ubuntu and Unix flavors like FreeBSD. Let us get started. In Fedora, RHEL and its clones like CentOS, Scientific Linux, the network interface card (shortly NIC) configuration will be stored under /etc/sysconfig/network-scripts/ directory. Here, I logged-in as root user to perform the following commands. If you logged-in as normal user, just use ‘sudo’ in-front of each command. Usually, the wired network card name will start with letter “e”, and wireless card name will start letter with “w”. As you see in the above output, my wired network card name is enp0s3. It might be different in your distribution, but it usually start with letter “e”. Let us setup a static IP address to this NIC. Here, nano is the text editor. You can use any text/graphical editor of your choice, for example vi or gedit. Add the IP address, subnet mask, gateway, and DNS server as shown below. This is how a typical network card configuration file looks like in any RPM based systems. Did you notice the lines that I have marked in bold? Those are the important lines. Let us see what are those files one by one. BOOTPROTO=”none”– This line shows that the network card’s IP address should be configured manually. If you set the value as “dhcp”, then the network card will accept the IP address from any DHCP server in the network. IPADDR0=”192.168.1.150″ – This line indicates the IP address of the network card. Here, you might notice the number 0(zero) after the line IPADDR. This indicates that this card has only one IP address. If you want to set more than one IP address (i.e virtual IP address, then you need to change this line as IPADDR1, IPADDR2 respectively. PREFIX0=”24″ – This line indicates the subnet mask, i.e 25.255.255.0. Here you can specify more than PREFIX with lines PREFIX1, PREFIX 2 etc. GATEWAY0=”192.168.1.1″ – This is the gateway address of the NIC. DNS1=”192.168.1.1″ – The Name server address. Once you setup all details, save and close the file. Restart the network service for the changes to take effect. Or, simply reboot your system. Or, you can check a specific network card’s address as shown below. Alternatively, you can use the nmtui command to configure IP address. Enter the IP address, netmask, gateway, and DNS etc. Click OK to save the changes, and restart network service or reboot your system to take effect the changes. Want to know how to configure multiple IP addresses for a single network interface card? Well, check the following link. The NIC configuration file will be stored under /etc/network/ directory in DEB based systems such as Ubuntu, Linux Mint, and Elementary OS etc. To configure a static IP address in any DEB based systems, do the following. Add or modify the following lines to configure static IP address. Or, simply reboot the system. We already know how to confiugre a static IP address in Linux from Command line. Now, We will configure static IP address in Unix. For the purpose of this tutorial, we will be using FreeBSD 10.3. 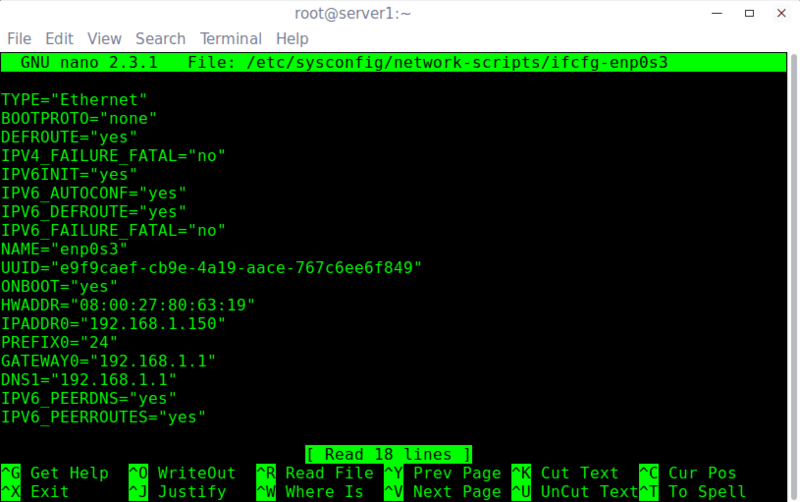 Just like Linux, we use “ifconfig” command to find out the network card name. Here, I logged-in as root user to perform the following commands. Here em0 is the network interface card name. Add/modify the lines as shown below. Save and close the file. Restart networking service or reboot your system to take effect the changes. And, that;s all. You know now how to configure a static IP in Unix and Linux distributions. 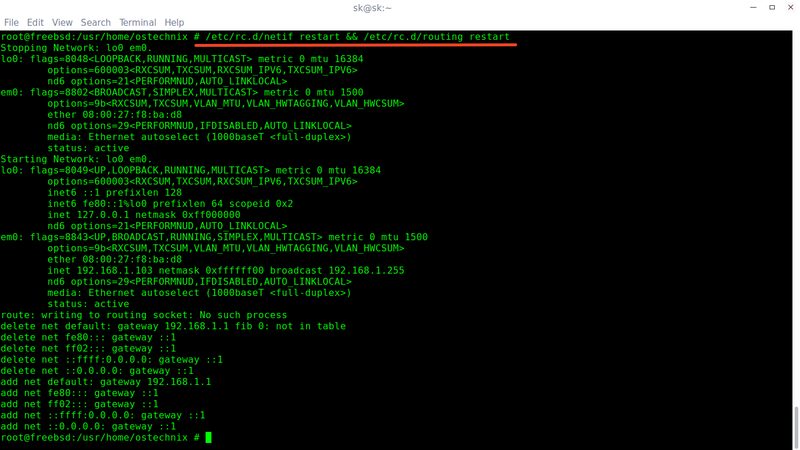 As you can see in the above examples, configuring IP address from command line is not a big deal. I will be here soon with another useful guide. Until then, stay tuned with OSTechNix. Thank you for this clearly written description of static IP configuration. I would be interested in a follow-up article that discusses static IP for a walk-about laptop. Specifically, I need STATIC_IP_A when I’m part of NETWORK_1, STATIC_IP_B when I’m part of NETWORK_2,…, STATIC_IP_Z when I’m part of NETWORK_N, and dynamic IP address the rest of the time. I am afraid we couldn’t do that in Linux with single network interface card. However, It is possible to do it with manageable network switch. We could create different vlans and assign different set of IP addresses for each vlan. While I would like to detect wired & wireless and launch appropriate scripts, wireless is by far the most common and most useful. I am trying, with poor success, to find the network connection hooks that I could use to launch my own scripts. ASIDE — I use Linux Mint 17.3 from the Ubuntu family of distributions. Create a script..First detect which network available on system. 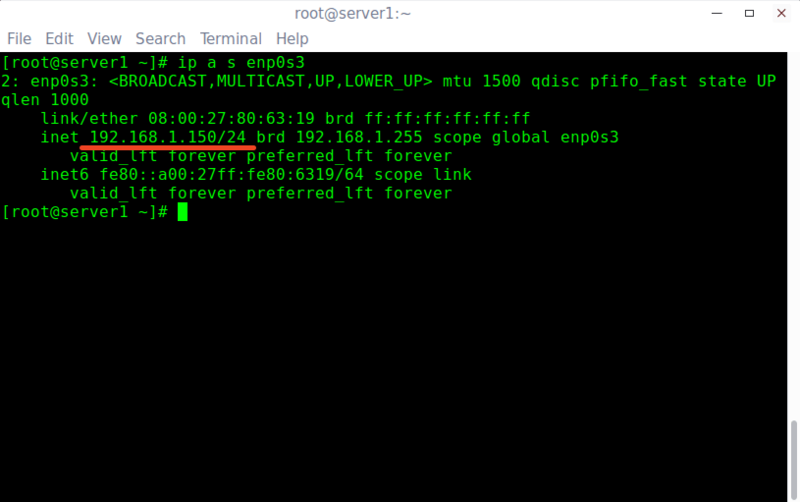 And show available network status like up or down and also show Static ip or DHCP IP. … AFTER I substituted enp3s0 for enp0s3. Who knows why mine was different? THANKS for accurate instructions which actually WORK! Rare in my world of Googling.